At Teachstone we spend all our time thinking very seriously about the inputs—one specific input, really: access to great teaching. It is our fervent belief that every child and adolescent deserves to experience life-changing teaching—not just one time, but year after year after year. 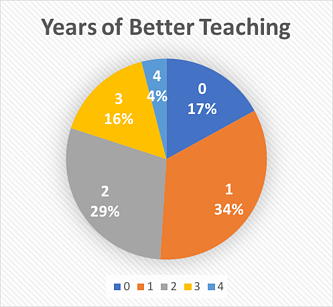 One recent study does an amazing job of illustrating just how few students have access to great teaching for even a single year, much less many years. The study, entitled “Cumulative Years of Classroom Quality from Kindergarten to Third Grade: Prediction to Children's Third Grade Literacy Skills,” also demonstrates that this opportunity gap is making it harder for many students to achieve their academic goals. This study was conducted in rural areas of North Carolina and Pennsylvania, among a group of students who are often neglected in large-scale research. As of 2016, over 13 million children under the age of 18 live in a rural area, but we know much less about their educational experiences than we do about children living in more urban and suburban areas. And, although we can’t generalize this study to students living in more urban areas, another recent study provides similar findings across more diverse settings. So we should pay attention. Okay, so what did they find? I’ll start with the good news and then work down to the bad. 1. Students who experience more years of “better” teaching from kindergarten to third grade have stronger literacy skills by the end of third grade. More specifically, students demonstrated stronger passage comprehension and academic knowledge at the end of third grade if they had more years of better teaching. 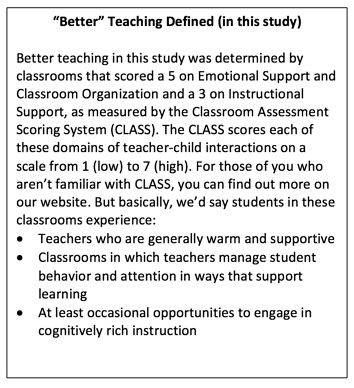 As you can see in the call-out box, the study used the Classroom Assessment Scoring System (CLASS) to define better teaching—not excellent or perfect; just better. At Teachstone, we refer to these levels of teaching as proficient. And we are working hard to help schools get as many teachers to this level as possible. While all students benefited from access to better teachers, it was most critical for students who entered kindergarten with low literacy skills, at least for passage comprehension. 3. Very few students have access to better teaching for multiple years. Rates of children’s exposure to better teaching for a single year ranged from 33% in kindergarten to 46% in second grade. Here’s the kicker: only 4% of children in the sample had access to classrooms with better teaching across all four years. Yes, only 4%. 4. Very poor and black students are even less likely to experience good teaching for multiple years. This final point wasn’t a focus of the study, but it gets to the heart of the opportunity gap. Because this study was conducted in rural areas and oversampled poor and black students, the findings as a whole point to an opportunity gap for students living in these settings. But even among rural poor, black students and those with the lowest incomes and levels of maternal education are the least likely to have the opportunity to engage with good teaching. So what can we do to close the opportunity gap in PK-3? This paper, more than any other I have read, makes it clear that we need to invest more in the early years of schooling. There are many people engaged in this work in states and districts across the country. The National P-3 Center has a great set of resources on this topic. At Teachstone we are working with many states, school districts, and programs to address these issues. We know that teachers who learn about the CLASS—through intentionally designed and delivered coursework, coaching, and PD—can make notable changes in their teaching practice, helping to close the opportunity gap. I recently had the amazing opportunity to visit Dallas ISD, with whom we’ve been collaborating on PK-3 for the last four years. They are seeing great results in their collaboration with Southern Methodist University researchers, but the most inspiring part of the visit was talking with their instructional coaches, who use the CLASS to frame their work with teachers. The coaches had so many great stories to tell about the transformations that are possible when leaders, coaches, and teachers work together with a common focus on the most essential elements of classroom practice. They are working hard to close the opportunity gap for students in Dallas each and every day. I’ll write more about that soon. But for an inspiring crash course, take a moment to listen to Derek Little from Dallas ISD talk about the work at last year’s InterAct CLASS Summit. We are working to compile more stories about what districts are doing to close the opportunity gap in PK-3. 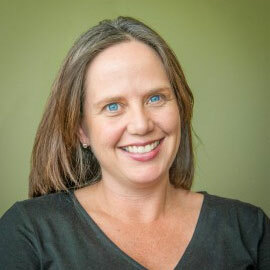 If you have a story to share, please let me know (bridget.hamre@teachstone.com)! There is still a lot of work to do, but at least it feels good to be working in a place where we are driven to make a difference and have the opportunity to collaborate with inspiring leaders across the country.